October is looking up to be a beautiful month in Kerala. The hard work put in by the citizens, government and local authorities in Kerala has borne its rewards as the state is back in full swing after the floods. October is typically the second wettest month of the year, with the North East monsoon season coming around. 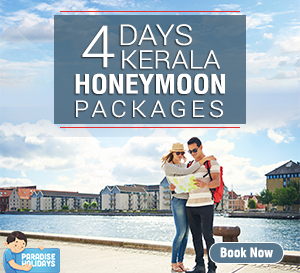 It is a great season to visit Kerala since the heat is bearable and the rains cool down the land and make it amiable for touring around. 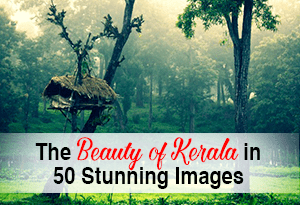 There’s no doubt that God’s own country is its best during the monsoon seasons. 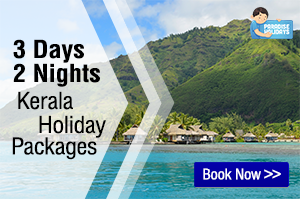 If you missed visiting Kerala in the past few months, you should definitely plan your trip this October. 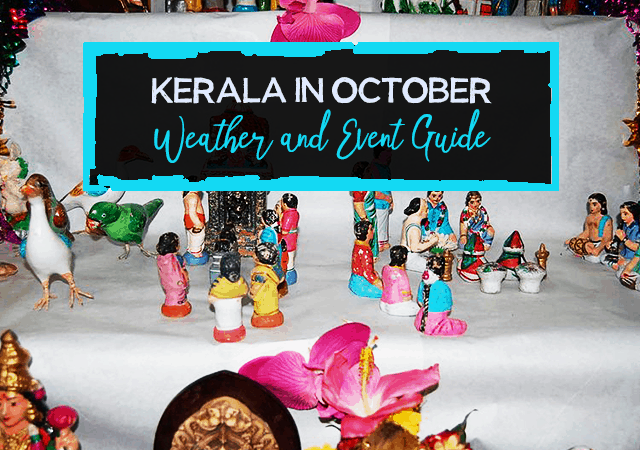 In this article, we give you a rundown on what the weather will be like in Kerala this October, and a list of major events you can participate in during your trip down to nature’s lap. There won’t be much difference in the temperatures in Kerala when compared with the past two months. The average temperature across the state is expected to be around 27 °C or 81 °F throughout the month. Some urban areas might be considerably warmer during the day, but the rains will keep the temperature bearable. Areas that are situated in the green cover will certainly be cooler and beaches would be more enjoyable early in the morning or late in the evening. Here’s some more information on the Kerala weather for October. The amount of rainfall will be much higher than what was experienced during the month of September. Kerala will probably receive about 268mm of rain in October. This will be spread across 23 days, so it’s most likely to rain during your trip. However, the chance of rain decreases considerably during the course of the month, so precipitation will be lesser towards the end of the month. If it rains, there’s a 61% chance it will be a thunderstorm, so it’s advisable to take cover if you’re caught in one. As the probability of rain decreases, so does the cloud cover – from 65% to 54% to be exact. So, if you’re planning to visit Kerala towards the end of October, you’re in for some sunshiny days. On a related note, the sea temperature is expected to be a full two degrees warmer than September. Since you are likely to experience a good mix of rain and shine, it’s best to come prepared for both. Wear light clothes that will help you weather the heat and dry out easily if you’re caught in a rain shower. It’s best to be prepared with a light raincoat or small umbrella when you’re outdoors. The nights won’t be too cold, so you don’t have to carry warm clothes. The right footwear is mandatory and should be suitable for the terrain you’ll be traversing. It’s better to be safe than sorry. 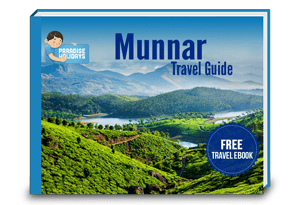 Here are some precautions you can take if you’re travelling to Kerala this October. Keep a weather app handy and plan your day’s activities based on the weather. Get the help of a local guide if you aren’t sure of some areas during your trip. If you’re caught in a downpour, try to take cover as soon as possible. To beat the heat, stay hydrated with fresh juices and bottled water. Use a mosquito repellent whether you’re indoors or outdoors. Carry your electronic gadgets in Ziploc bags or in a waterproof backpack, so they aren’t damaged in the rain. Almost all the roads and bridges that were damaged in the recent floods have been repaired. You don’t have to fear how you’re going to travel. 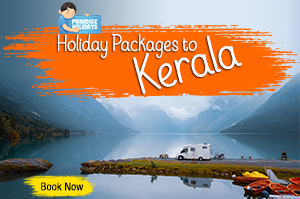 Buses, cabs and trains cover just about every route in Kerala. If you need assistance, you can always hire a travel guide to help you along the way. If you’d like to become one with the culture in Kerala, here are some traditional events you can participate in during the month of October. The Ayilyam Mahotsavam will be held between 29th September and 5th October at the Sree Nagaraja Swami Temple in Vettikode, Alappuzha. 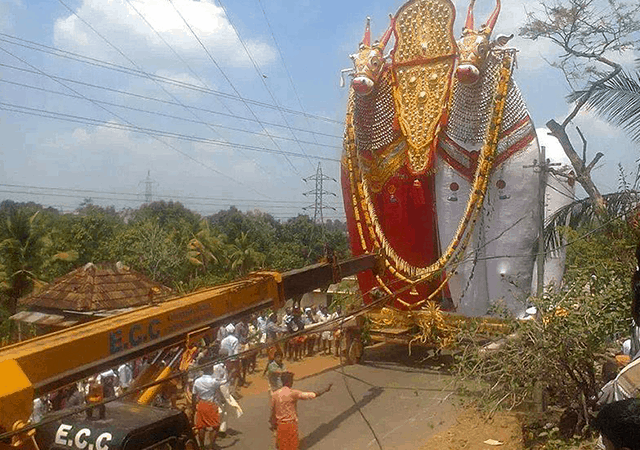 It features daily rituals and ceremonial processions that draw quite a crowd. This is a 9-day celebration held between 10th to 19th October throughout the state to worship the 9 forms of a Hindu goddess. 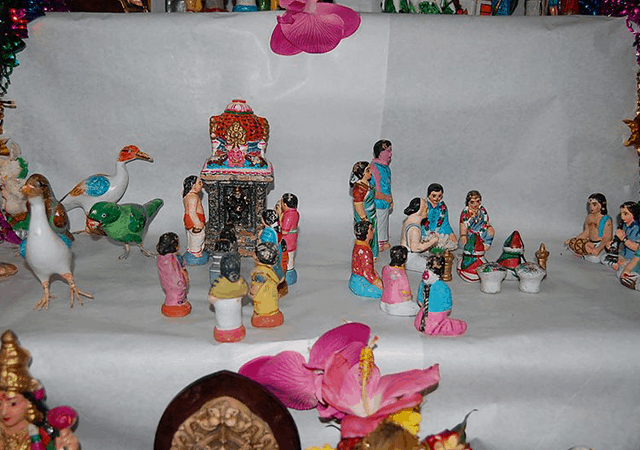 Many ceremonies are conducted at important temples in Kerala as part of the Navarathri festivities. 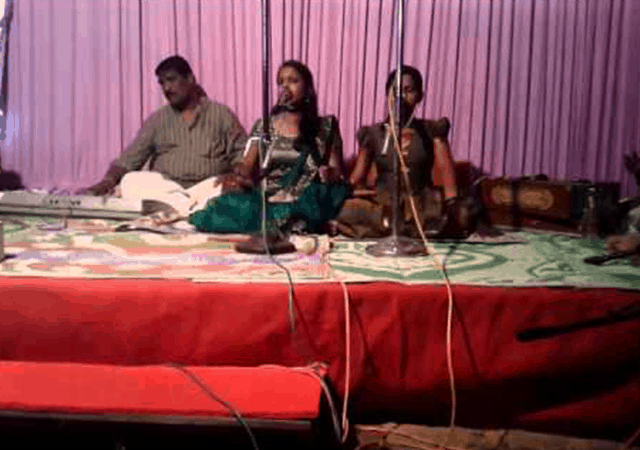 Conducted at the Navarathri Mandapam in East Fort, Thiruvananthapuram during the Navarathri period, the Navarathri Music Festival showcases a musical fiesta featuring classical music artistes and legendary compositions. 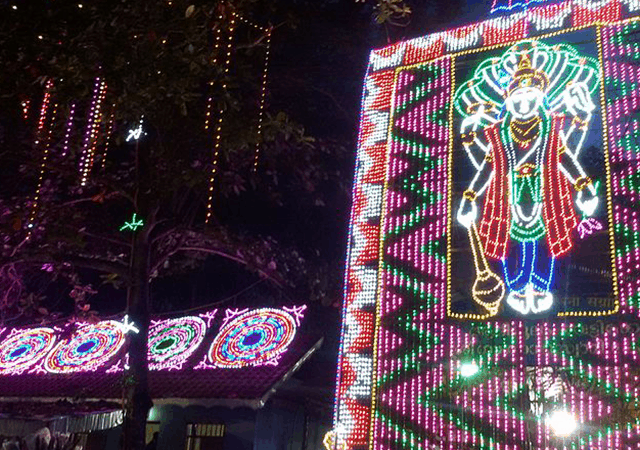 This is another festival celebrated during Navarathri at the Panachikkadu Saraswati Temple in Kottayam. Young children are initiated to the world of education and multiple cultural programs are held at the venue. 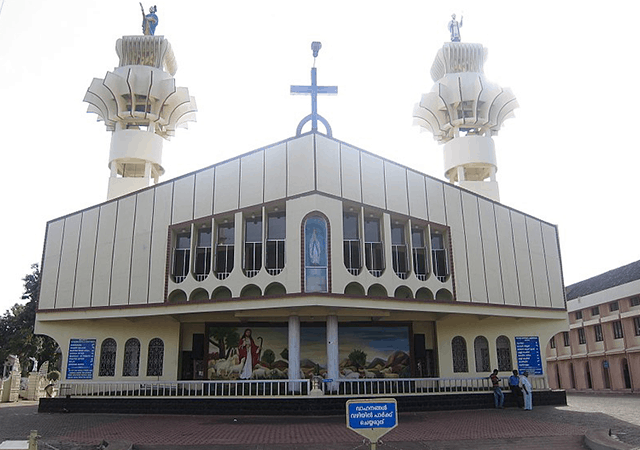 On 15th October, the Koratty Muthy Feast is observed at the St. Mary’s Church in Koratty, Thrissur. Devotees offer plantains measuring their body weight and participate in vibrant pageants and rituals. 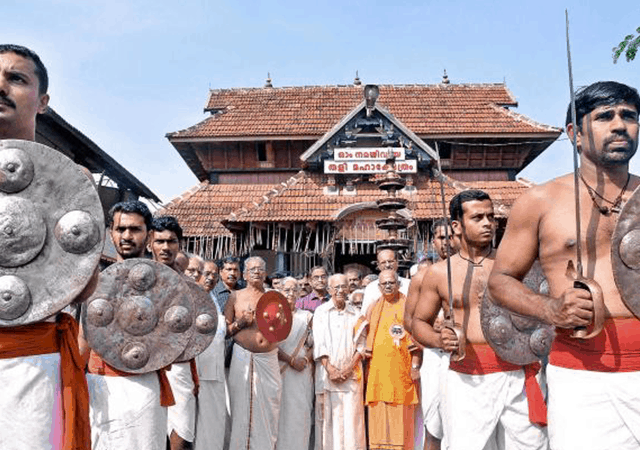 This legendary event takes place on 24th October at the Tali Mahadeva Temple in Kozhikode. It is an annual intellectual gathering that pays respect to the scholars who used to meet during the reign of the Zamorins who formerly ruled Calicut. October is Kerala monsoon’s final hurrah before it takes a long break. The rain brings out the vibrant colors in nature and is a feast for the traveler’s eyes. 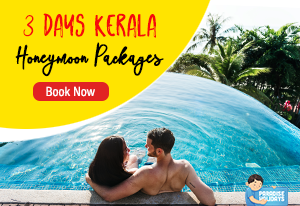 Enjoy your vacation in Kerala this month, pamper yourself in the lap of natural luxury and rejuvenate your body, mind and soul.